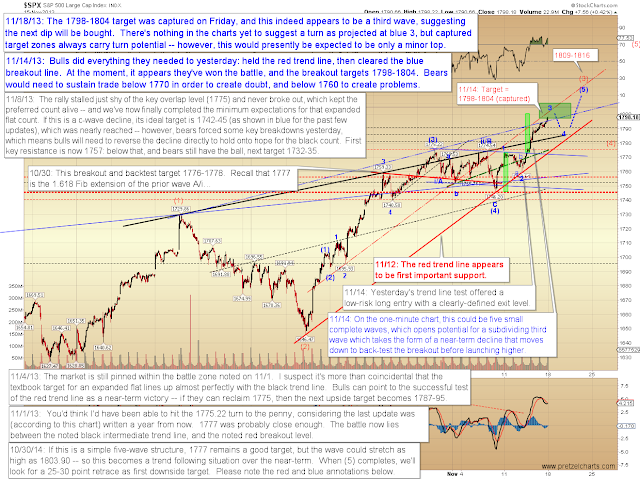 Pretzel Logic's Market Charts and Analysis: SPX and SPY: Upside Targets Captured, What Next? SPX and SPY: Upside Targets Captured, What Next? 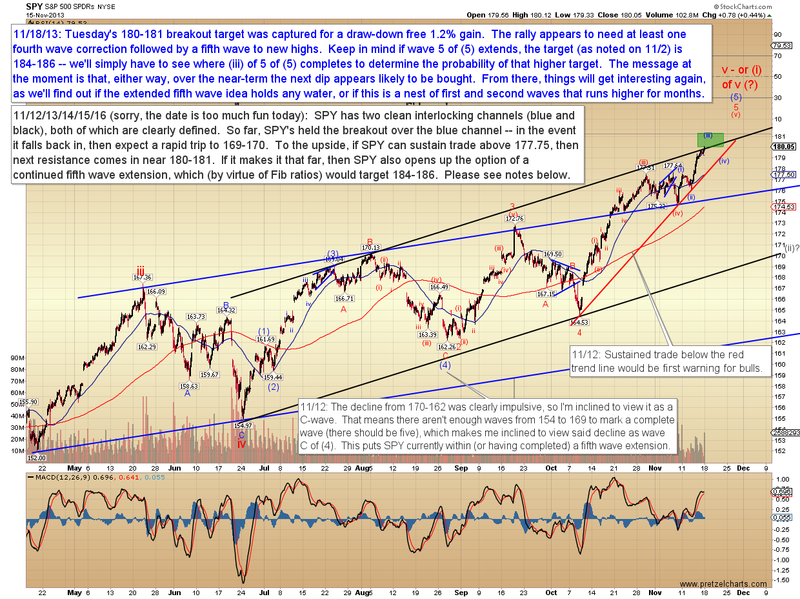 So let's start off with the SPX, which, as noted, captured its upside target with ease. This is the zone where blue 3 would commonly be expected to stall. If the next wave is indeed a fourth wave, it would be fairly common for it to take the form of sideways chop. I've also noted the next potential upside target. SPY, the S&P 500 SPDR (no known relation to Cane Spiders) ETF, also captured its breakout target, and with no draw-down. This chart is a bit wider view than the last, and as things develop, it will be interesting to see if this is indeed an extended fifth wave rally. 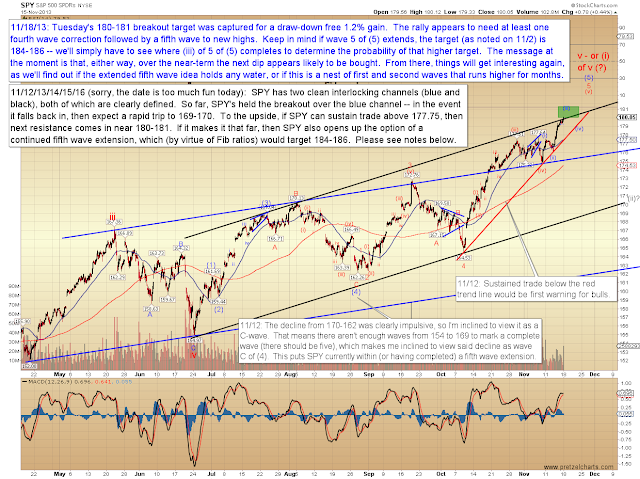 I've detailed the broader implications of an extended fifth (using SPX again) on the chart which follows this one. 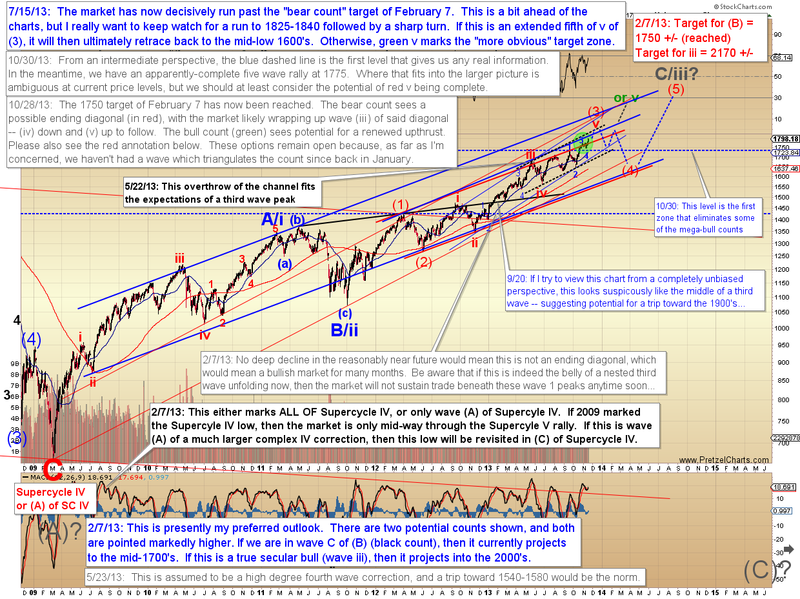 On the SPX long-term chart, we're now past February's "bear count" target. 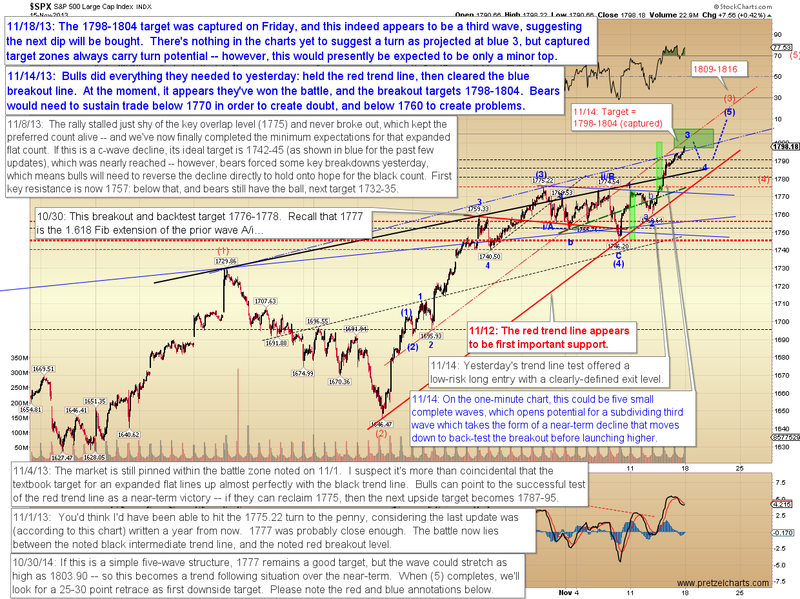 Please note that any talk of turns is well ahead of the actual price action at the moment -- nevertheless, I have detailed the expected outcome (in broad strokes) if we are currently within an extended fifth. In conclusion, as noted in the last update, bulls have claimed the prior inflection point, and thus seem to have retained control of the market for foreseeable future. As the near-term waves unfold, we'll be able to begin to assign higher or lower probability to the intermediate extended fifth wave count. Trade safe.